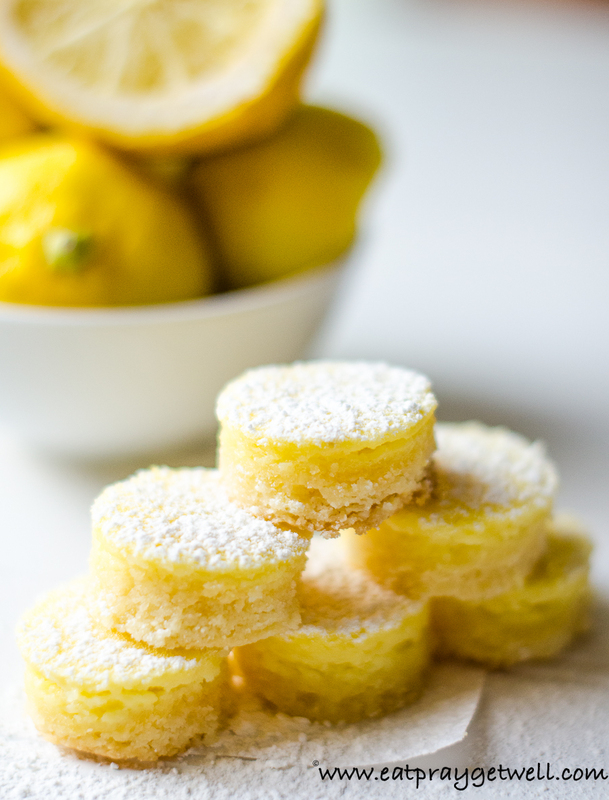 I may be a little late on the sugar free grain free lemon bites as summer is over, but I am in Florida where the weather is still in the 90’s so I get a pass! These were delicious and we ate them all within a few hours (which I don’t recommend)! We don’t have a whole lot of self control around here when it comes to anything that tastes remotely sweet. I have been doing a lot of research lately on what certain foods (if you can even call it food) can do to our children’s bodies (and brain). The chemicals, dyes, preservatives, artificial colors, and food coloring wreck havoc on the inside, yet this has become the customary way of eating in this country. There are more kids affected with allergies and asthma, ADD, autism, tics, and tourette’s than ever before. It’s not a simple solution though, we send our kids out into the world where 90% of the foods offered or available to them are bad for their health. I know first hand how hard it is breaking the sugar addiction as an adult but trying to reason with a child to break this habit is even more difficult. I have found the only solution that works is to always have sweets on hand that are made from real foods. So if they want to indulge one day on some REAL food, I am certainly okay with it! I hope you enjoy this recipe and if there is any favorite recipe you would like to see re-vamped, I love hearing from all of you! Preheat oven to 350 degrees. Mix all ingredients for CRUST and mix well until you form a dough. Place this dough in a round or circular oven safe dish. No need to grease the dish due to the butter. Pat down until the dish is covered with the crust. Bake crust for 10 minutes. 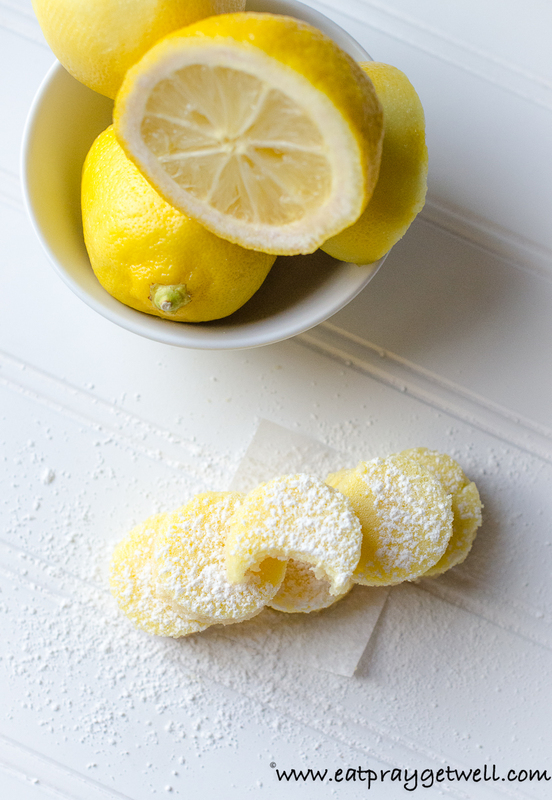 In a medium size bowl zest one lemon and add the juice of all 3 lemons, then add remaining lemon filling ingredients mentioned above. Once crust has baked for 10 minutes pour lemon filling on top of crust and bake for 20 minutes. Filling will stiffen once cooled. Cool in refrigerator for a least one hour before cutting into circles with a cookie cutter or you can simply cut into squares. 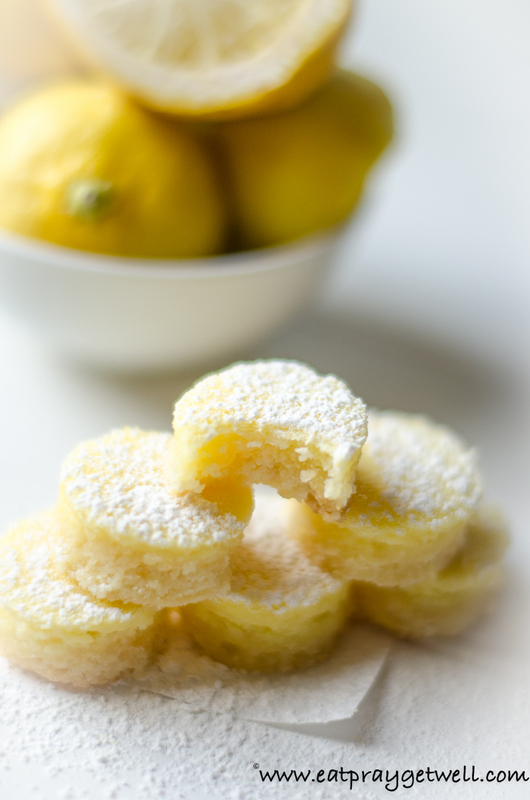 We ate these sugar free grain free lemon bites all in one day. We don't have a whole lot of self control around here when it comes to anything that tastes remotely sweet. I have been doing so much research lately on what certain food (if you can even call it food) can do to our children's bodies (and brain).